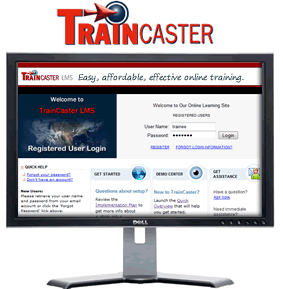 TrainCaster LMS - the robust and affordable learning management system that simplifies training management. Visit TrainCaster.com today for more information. NetCasters designs, builds, and hosts customized web applications. We focus on the needs of clients to develop web applications that increase productivity, generate revenue, and solve business inefficiencies. Since our founding in 1995, we have designed mission-critical database applications, engineered web-based business management applications, and built an extremely powerful learning management system, TrainCaster LMS. NetCasters is built on our mastery of technologies. We leverage our experience and expertise in application development and user interface design to give you the best possible value for your investment. Because 'off the shelf' applications do not always give you the flexibility or efficiency you need, we've developed a collaborative application design process to ensure the software meets all of the constraints and requirements of the project. From design and development of e-commerce, B2B software applications, and online databases to project management, testing, and application deployment, we can provide you with a web software solution to help you realize your business goals. Contact us today to find out more about what we can do for your organization.